NGC 2477 (also known as Caldwell 71) is an open cluster in the constellation Puppis. It contains about 300 stars, and was discovered by Abbe Lacaille in 1751. The cluster's age has been estimated at about 700 million years. 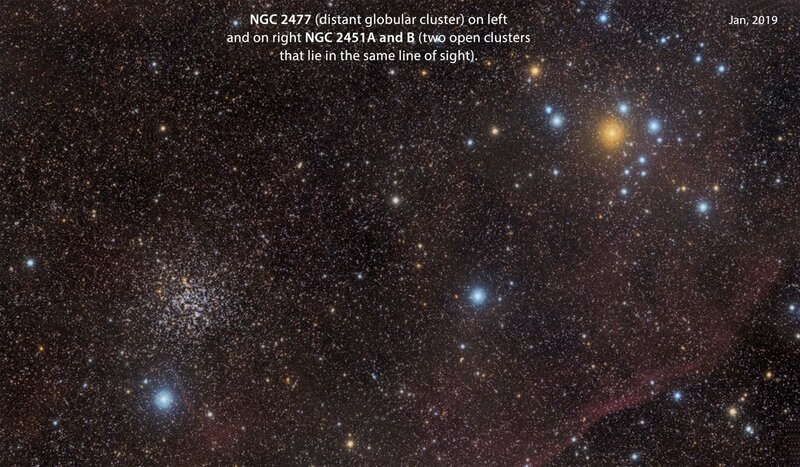 NGC 2477 is a stunning cluster, almost as extensive in the sky as the full moon. It has been called "one of the top open clusters in the sky", like a highly-resolved globular cluster without the dense center characteristic of globular clusters.